Yes, I realize I'm breaking my own rule. That's right, I'm reviewing a single issue (gasp). I can see why you'd be surprised. I mean, that whole other one review is kind of daunting. Also, king of terrible, but that's not really a review, just an observation. And my observation with #600 is that it's awesome! (yup, I know...smooth). For those of you paying attention, it's been over a year since the move of Spider-Man to thrice monthly and that really sped up the number count. Back then it was only #546 to begin and we've crossed 54 issues since then. Kind of crazy. And here's the big issue. The big overpriced anniversary issue. Thankfully, that overprice doesn't include a reprint. We're talking all new from beginning to end. 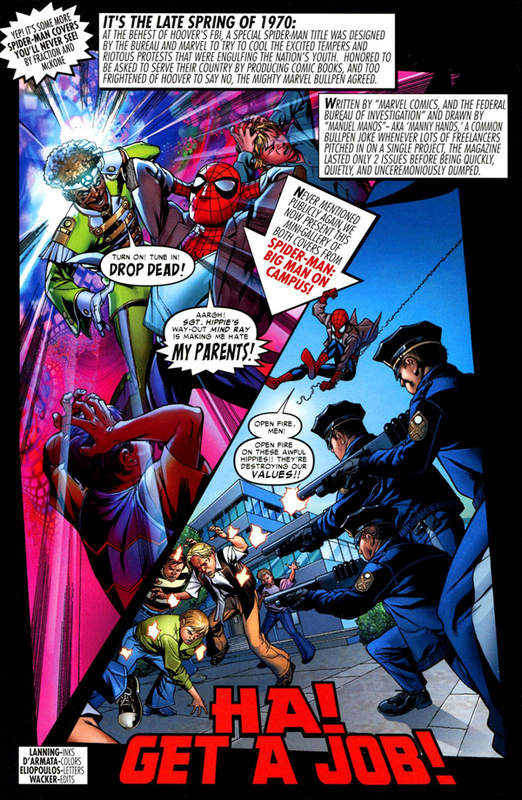 Dan Slott and John Romita Jr. present the main course which revolves around Doc Ock and his new plan. It's a fun story that runs really fast through the entire book. The dialogue is good between the characters and just about everyone that Spider-Man has teamed up with in the past year shows up for at least one scene. The story works on two levels. 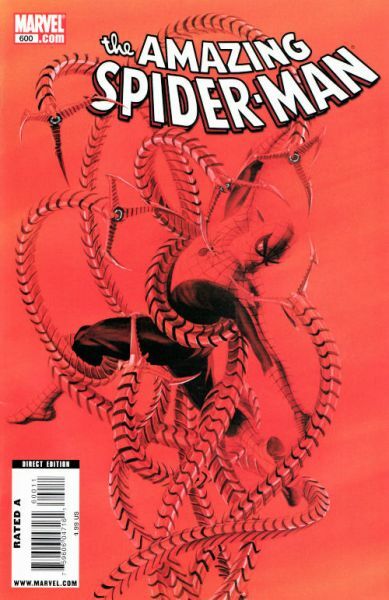 First it's a solid story that anyone could pick up without having read Spider-Man recently and get it. Second, it has little nuggets in there for those of us that would rather not think about how much we've spent on old Spidey since the format change. The art for the most part is good, though it seems a few spots were slightly rushed. The inking and coloring are solid, especially when we finally see the new Ock and everything around him. This would have been a solid book with that alone, but thankfully, there's more. There's a story written by Stan Lee and drawn by Marcos Martin which was my favorite of the shorts. Anything drawn by Marcos I'm already sold on and it really proved that Stan the Man still knows how to write comics. It wasn't overly written and was genuinely funny. The other stories are solid, but that was the only one really stood out to me. So should you go out of your way to pick up Spider-Man #600? Yes. It's a great issue apart from the special number and has a great teaser that sets up for the next year of stories. And I'm such a sucker for that stuff. It's really solidified that I will be keeping Spider-Man on my pull list for a while longer. So long as he doesn't start using the Spider-Mobile again.